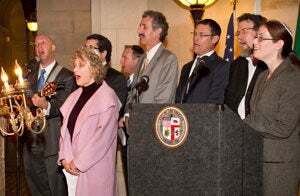 The Board of Rabbis of Southern California serves the strategic initiatives of The Jewish Federation of Greater Los Angeles — Ensuring the Jewish Future, Caring for Jews in Need, and Engaging the Community — by bringing together over 220 rabbis representing the Conservative, Orthodox, Reconstructionist, Reform, and transdenominational streams of Jewish life. Community Learning: A variety of opportunities for individuals, lay leaders, and Jewish communities to engage in Talmud Torah, a lifelong engagement in Jewish learning. Interreligious Programs: Clergy seminars, public programs, and dialogue groups which foster knowledge and understanding among clergy and leaders from Christian, Muslim, Buddhist, Hindu, and other faith communities. 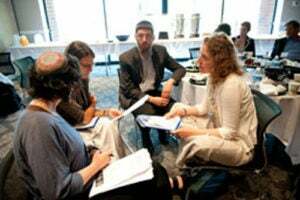 Professional Development: We provide our members with opportunities to develop their skills as religious leaders, heads of organizations, and pastoral caregivers through programs designed specifically for their needs as rabbis in the 21st century. Holiday Celebrations: For Rosh Hashanah and Chanukah, the Board of Rabbis convenes Federation leadership, rabbis, and civic leaders to celebrate together at City Hall. The Chanukah event includes a community-wide candle lighting celebration. Funeral Practices: The Board of Rabbis convenes the funeral practices committee of rabbis and leaders of Jewish mortuaries to engage in dialogue and plan education programs about funeral practices in the community. Talmud Torah for Colleagues: The Board provides ongoing opportunities for its members to advance their skills and interests through programs of professional growth and development. 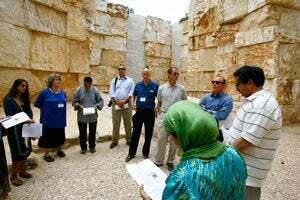 Israel: The Board of Rabbis provides opportunities to support and engage in learning about the State of Israel. Do you know a fellow rabbi or colleague who is unable to pay his or her dues in full? You are more than welcome to help by donating here. For more information on the Board of Rabbis of Southern California, please visit our webpage at www.boardofrabbis.org.